Tanja M Jones is the co-founder for Real Women in Real Estate. As a leadership and mindset specialist Tanja has advised thousands of leaders and teams both nationally and internationally since starting the company. Tanja’s big game is to elevate real estate leaders and agents ability to build trust and transparency within the communities they have the privilege to serve and she recently partnered with Core Logic to complete the first of its kind study, The Real eSTATE of Leadership, with a full report of findings soon to be available for download on our homepage. As an NLP master practitioner and trainer Tanja is fascinated with the study of human excellence and considers herself a student of human potential, having spent almost 30 years learning the subject. 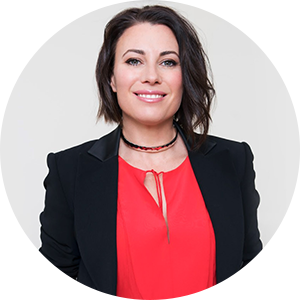 Tanja also is the producer and presenter for TMJ:TV, a weekly video series for real estate leaders and teams who want to grow themselves and their business in the least amount of time.